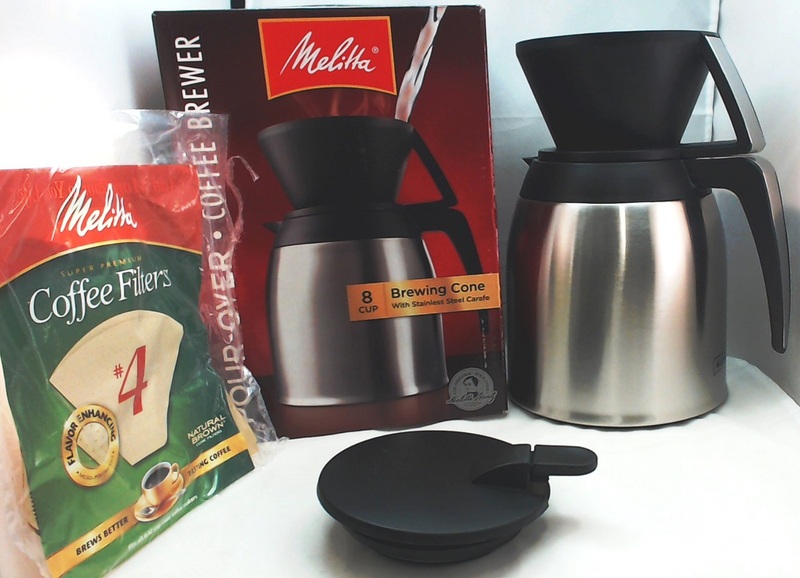 Brand new Melitta 8 cup pour-over coffee brewer with stainless steel thermal carafe. Uses #4 Melitta cone filters Filter cone is top rack dishwasher safe. Stainless Steel carafe holds 8 cups of hot coffee and keeps it warm for hours.